“Everybody kind of goes into it, I think, hoping they have that clean bill of health so they don't have to go back for 10 years,” says Sokolowski. After all, colorectal cancer is the second leading cause of cancer deaths in the United States. So Sokolowski went in for her first colonoscopy. And when she woke up from the anesthesia, she waited for the doctor’s assessment. Not what Sokolowski wanted to hear, but she was glad she doesn’t have a hole in her intestinal wall. The doctor asked her to come back in six months for a follow-up colonoscopy to try again on that stubborn spot—which she did. “It was the day before, the facility calls you and tells you, ‘We've got your time, and please be here by such and such time.’ And they also said, ‘Please bring $2,000’—which was my insurance deductable,” she says. A colonoscopy in Florida can cost anywhere from $600 to $5,000 if you don’t have insurance. If you do have insurance though, under the Affordable Care Act, there’s a whole list of preventative services, called “essential health benefits,” that are supposed to be paid 100 percent by insurance. Colonoscopies are one of them. Except for when they’re not. Listen: Preventative colonoscopies are completely covered by insurance, except for when they aren't. Sokolowski didn’t pay out of pocket for her first colonoscopy. But when she had to go back for the second one, her status had changed. “The problem is if we find a polyp, that screening procedure becomes a therapeutic procedure,” says Dr. Costas Kefalas, a gastroenterologist who serves on the board of governors for the American College of Gastroenterology. Kefalas points out that unlike other kinds of screening tests, colonoscopies can involve spotting and removing a cancer threat in the same procedure. “It's not something where we say, ‘Well, we found a polyp, we’ll have to stop the procedure and ask the patient if they want it removed or not,’” he says. When the colonoscopy turns from prevention to treatment, that can change what a patient is responsible for paying. On average 25 percent of men and 15 percent of women end up getting precancerous polyps snipped. Kefalas has spent a lot of time in Washington, DC pushing for the SCREEN Act—a bill that would eliminate out-of-pocket expenses for these and other kinds of colonoscopies. In 2013, the feds did clarify some of the Affordable Care Act rules around what constitutes a preventative colonoscopy. So now, even if you get a polyp snipped, you shouldn’t have to pay extra—unless you have Medicare—which has slightly different rules. Or if you actively have symptoms. Or if your doctor recommends a screening sooner than what’s covered under the insurance company’s timetable. “The first thing they need to know is exactly what the coverage policy is for their insurance,” says Katie White of White Healthcare Consulting. White says even if you ask all the right questions, if the billing department at the hospital or doctor’s office doesn’t code the procedure in just the right order, you could still very well end up with a questionable bill. For example: White points out that in Sokolowski’s case it might have been possible to get that second colonoscopy at no additional cost. There is a code that would indicate the first attempt was incomplete for whatever reason—in which case the second attempt would be completely covered. But everybody who files a claim with the insurance company has to code it the exact same way. And there are a lot of cooks in that kitchen. “You're going to have at least the facility, you will have anesthesiologists’ bill, pathology bill—because if they take a polyp there's a specimen that goes to a lab—and possibly some just regular laboratory pathology bills,” says White. Ultimately, Sokolowski is healthy. The polyps were not cancerous. The $2,000 she paid up front was basically a deposit. When it was all over, she paid about $600 out of pocket—mostly for anesthesia—and she got a refund on the rest. Sokolowski says as frustrating as the episode was, she probably would have gone through it again. This story is part of our PriceCheck project. 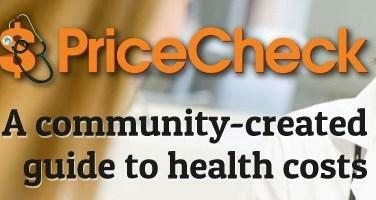 You can help us make health care prices more transparent by anonymously sharing your medical bills at WLRN.org/PriceCheck. Next Monday, WLRN’s Sammy Mack and Tom Hudson will focus on health care price transparency on a special edition of the Sunshine Economy. Health care prices are notoriously difficult to come by ahead of a procedure, but Jackson Health System in South Florida is experimenting with a new approach in price transparency. Hospitals keep a list of what they charge for health care services—but if you have insurance, that charge may have nothing to do with what your insurance company has negotiated and what your out-of-pocket expenses would be. What makes Jackson’s Care Quote different from a typical estimate is how it accounts for an individual’s insurance plan. mental illness or behavioral disorder can drive up costs for other kinds of care. But new research suggests that the Affordable Care Act has helped young people with mental illnesses afford health care—especially young blacks and Latinos. The Affordable Care Act has achieved at least part of what it set out to do—but there are still quite a few questions about the long-term impact of the health legislation, according to a new study published in the journal Health Services Research.